Landless Gentry: Landless Gentry blog Is.. This blog has been percolating in the back of my brain for a while and I think now it's time to just dig in. I will be sharing with you my thoughts and reviews on some of my favorite products: Clothing and men's style, high-quality accessories, whiskey, and occasionally my travels - anything which a gentleman might find an interest. I'll also be posting some photos of my outfits that I assemble and share some of the brands and men's style looks that I like. Of course, as you'll soon notice, I'm a bit tweed obsessed, so obviously you can expect to see quite a lot of that featured - especially in the Fall, Winter and Spring months. 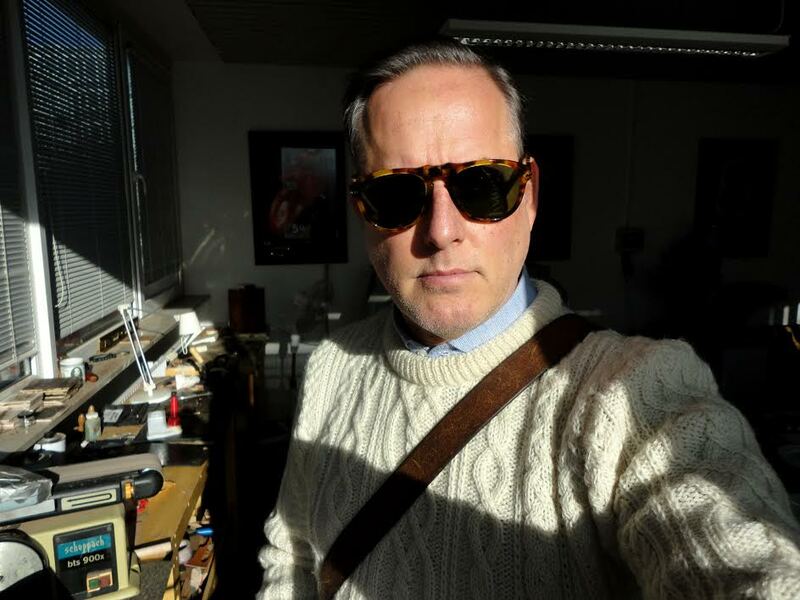 Being located in Munich, Germany, the weather is often favorable for Tweed and I've been able to really explore this wonderful and infinitely varied fabric in ways that would never have been possible while living in California. My personal style, while of course always evolving, is pretty traditional. I've been interested in this style since I first saw 'Chariots of Fire' while still in high school. I find that I've become more interested in Retro/Vintage styles of late, but while I love the styles form the 1920', 1930's (who among us can fail to have been impressed by the wardrobe in 'Downton Abbey' and more recently 'Peaky Blinders'), I am neither interested in embracing the total Retro/Vintage style/lifestyle nor am I interested in living in a reenactment (Although I admire those who do and follow them avidly on Instagram). I do find that I do have a certain sense of nostalgia for the 'Good Old Days', which all seem to be before my time (if they ever existed at all). I'm interested in traditional Men's style steeped in Anglo/English heritage with some Ivy League and even Italian style is thrown in for good measure (In the heat of Summer, the Italian style really comes into its own). Some of the products that I love and discover will be reported hear as well as stores and towns that I visit in my occasional travels through Europe. I have an especial fondness for high-quality handmade items and will be happily featuring them here as well including my own work on occasion, although I've already got a longstanding blog, Instagram and Facebook page for my work, so this blog will primarily focus of men's products outside my own watch strap business. As many of you may know, I am a humble custom watch strap maker and so I am not, as they say 'made of money'. Please don't expect a lot of very high priced goods such as bespoke shoes and tailoring, for while I love these things and hope to one day afford such luxuries, these are mostly beyond my current financial where-with-all. Having said that, I am a keen bargain hunter and will find and share great items that I think are well priced for the quality (my mother didn't raise no fool).